Join Robin, as he leads this 5 night photography holiday on Fair Isle, Shetland, capturing images of the iconic Atlantic Puffin. The island is also home to Fulmars, Great & Arctic Skuas, rabbits, wheaters, seals & a whole host of migrant birds. For each trip, the communications have been excellent, & the details provided ahead of the adventure have enabled me to be well prepared for each trip. Sorry, all the available places for this past event, Puffins of Shetland’s Fair-Isle, have already been reserved; however, if you would like to be placed on a waiting list in case of any cancellations or to be notified should we decide to run another of these trips, please fill in the form below. NaturesLens past events require a minimum number of participants in order to be viable. If this minimum number is not met, the past event may not go ahead. This past event has a minimum participant level of 4 plus NaturesLens guide(s). & takes place in Fair Isle in the United Kingdom, between the dates of 14th - 19th July 2018. It is ideal for photographing arctic skua, atlantic puffin, fulmar, great skua & more. This past event is led by Robin Lowry for NaturesLens. Group size for this past event is a minimum of 4 participants & a maximum of 5, plus Robin. We consider this to be an event of Easy level of exertion, if you have any questions about your suitability for this event, please contact us prior to making a booking enquiry. The past event starts & ends at Sumburgh Airport. Transfers between Sumburgh Airport & Fair Isle are included in the cost of this past event. Deposit required to secure a place: Â£200 payable upon making a booking. Final balance payment due: April 14th, 2018*. Bookings made after this date will require the full payment to secure a place. Bookings close: June 14th, 2018. Join Robin Lowry, a member of the NaturesLens guiding team, in Fair Isle during July 2019 for a 5 night photography holiday; take the opportunity to capture images of the comical atlantic puffin; the NaturesLens Puffins of Shetland’s Fair-Isle photography holiday is offered on a full board, non-shared room basis, & costs £999 per participant. 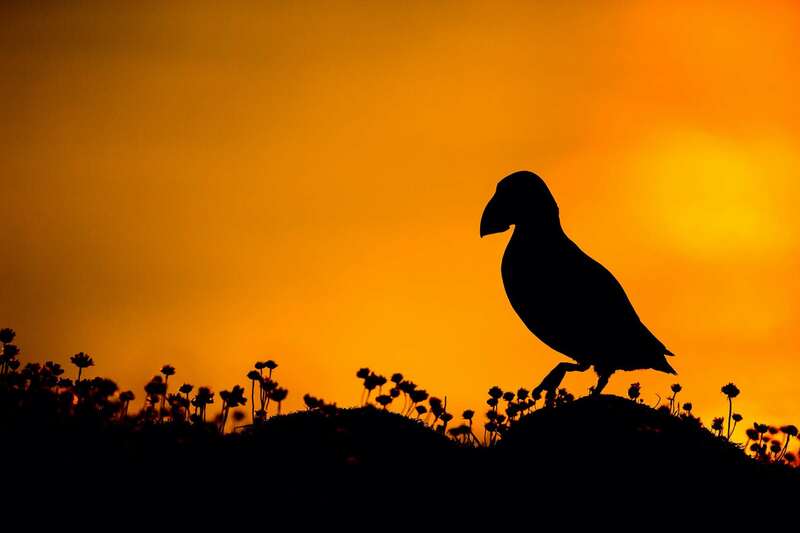 Join Ian & Victoria, members of the NaturesLens guiding team, in Skomer Island during June 2019 for 3 nights; take the opportunity to capture images of the comical Atlantic puffin; the NaturesLens Welsh Puffins of Skomer Island photography holiday is offered on half board, shared room basis, & costs £499 per participant. Whatever your query regarding our photography holiday, Puffins of Shetland’s Fair-Isle, please fill out your details below & we will get back to you.